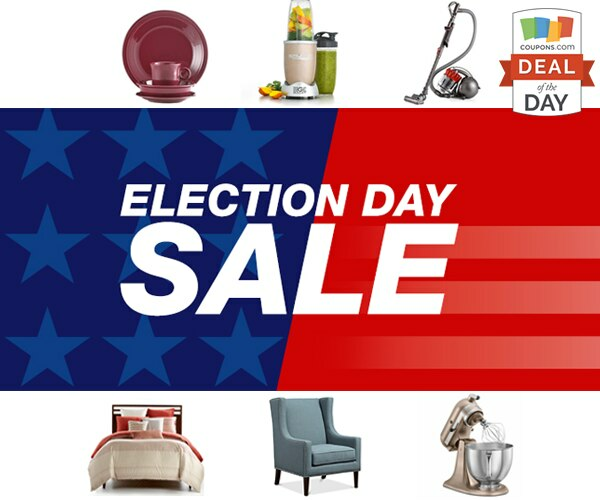 With Election Day around the corner take advantage of this sale at Macy’s to take an extra 20% off select purchases. Shop Men’s and Women’s apparel, bed & bath, home, kitchen, beauty and more. Get $10 in Macy’s money for every $50 you spend online and in store. Shipping is free on orders $50 or more. Check out more great savings for Macys at Coupons.com. Deal Details: Use code VOTE to save up to an extra 20% off at Macy’s during the Election Day Sale. Exclusions beauty, furniture & specials. Deal Dates: Offer valid through 11/8/2016.